With the weather finally cooling off a little in New York it was time last weekend to get out of the city and into the countryside. I’d been wanting to get back to the beautiful Hudson Valley for some time so on Sunday morning we got an early rise to head to Breakneck Ridge. 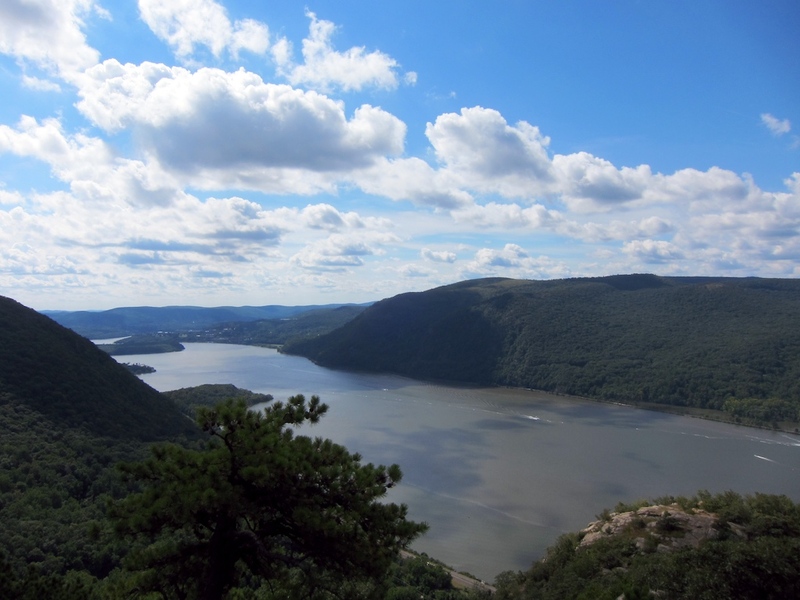 Breakneck Ridge is a hugely popular hiking spot about 50 miles north of New York City. Located in the Hudson Highlands it offers some breathtaking views, lush woodland and, even better, is easily accessible by train. There is a relatively frequent service to Cold Spring, 3 miles or so south of the Breakneck Ridge trail head, but Breakneck Ridge Station itself has trains stopping from Grand Central a couple of times on a Sunday morning. We got the later of these two, the 8:50am, which arrived a little after 10. The popularity of this area was very apparent to us as a huge stream of hikers left the train at the tiny platform (just a couple of steps really, a platform is giving it too much standing). A quarter of a mile away the trail started and we were greeted almost immediately by the first of several steep climbs over boulders. This isn’t quite rock climbing territory, but you wouldn’t want to try doing this in flip flops or soon after a rain shower. I was certainly on all fours several times. After each of the 5 or so climbs going up the ridge you are greeted with some fabulous views of the Hudson. Once at the top you’ve climbed 1200 feet or so in only 3/4 of a mile, so this is definitely up there in ‘strenuous’ territory, for me at least. We were walking about 5 hours, with a couple of stops for food. Once back in Cold Spring we enjoyed a well earned beer at McGuires, and then an ice cream at Moo Moo’s before getting the train back to Grand Central. All in all a wonderful day out. 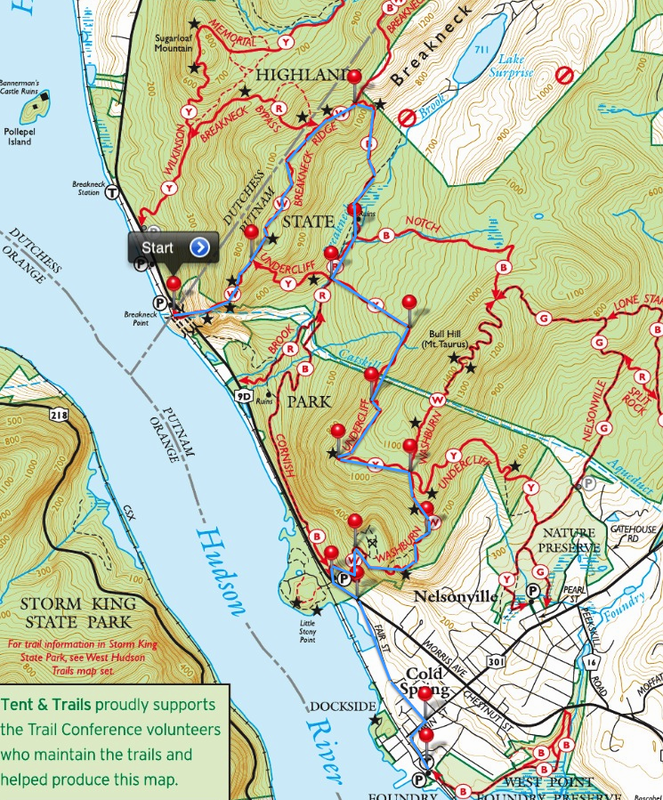 The Osborn Loop/Sugarloaf Trails south of NY 301 are also great.